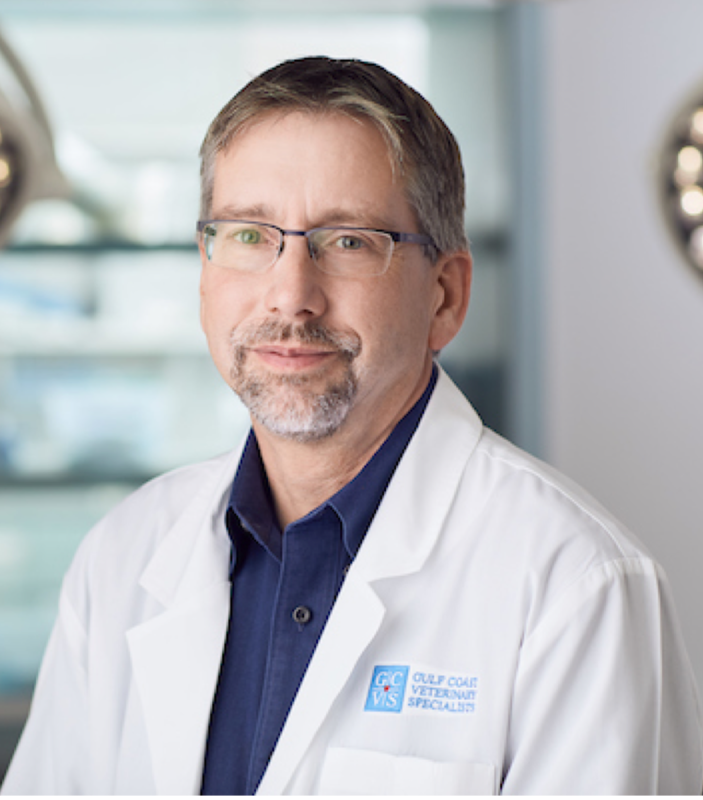 Dr. Chris Jones received his doctor of veterinary medicine from Texas A&M University in 1990. He was in private practice in El Paso, Texas, for seven years before deciding to pursue a career in internal medicine. He did a one-year internship followed by a three-year residency in small animal internal medicine at the University of Georgia. He was board certified by the American College of Veterinary Internal Medicine in 2001. Dr. Jones joined Gulf Coast Veterinary Internal Medicine in 2001. I absolutely love the care my dog gets from Dr. Jones and his team. The entire staff is knowledgeable and responsive and they most certainly inspire confidence that my dog, who has a very tricky and volatile life-threatening disease, is on the right treatment plan. I would absolutely recommend Dr. Jones to anyone needing an internal medicine specialist for their pet.